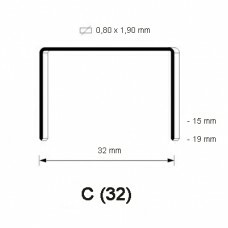 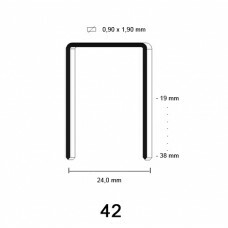 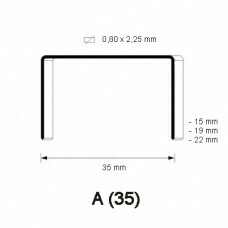 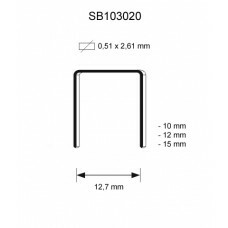 Staple type 42, also called Staple type 590 Staple type 42 has a crown size of 24,0 mm and is ava..
Staple type 73 has a crown size of 11,2 mm and is available in the following lengths: 06 mm - ..
Carton closing staple type C, also called 32-staple, has a crown size of 32 mm and is available in t..
Staple type S2 Crown: 25,0 mm Length leg: 30 mm Qty: 8.400 pcs per box Equal to: A..
Carton closing staple type 32 (SW9060) has a crown size of 32 mm and is available in the following l..
Carton closing staple type SW7437 has a crown size of 35 mm and is available in the followinglengths..
Carton Closing Staple ELPA35 is specially made for the Elpabox box stapler and has a crown size of 3..
Carton closing staple TOP SP has a crown size of 45 mm. 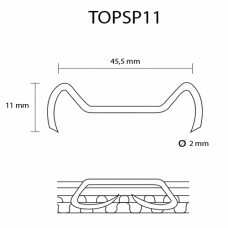 Because of the special shape of these staple.. 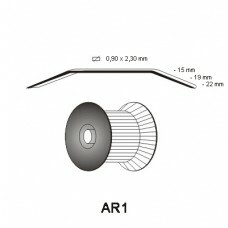 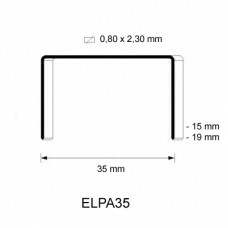 Roll format carton closing staple AR1 has a crown size of 35 mm and is available in the following le.. 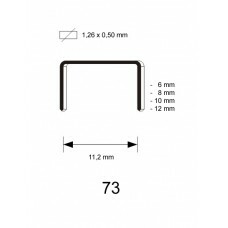 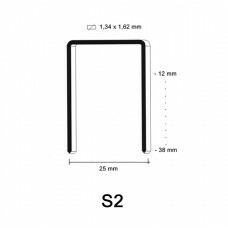 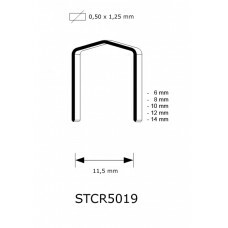 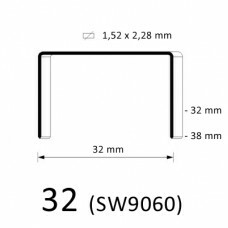 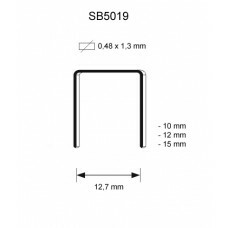 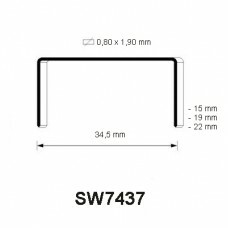 Roll format carton closing staple SWC7437 has a crown size of 35 mm and is available in the followin..
Galvanized Staple type S2 Staple type S2 has a crown size of 25,0 mm and is available in the foll..
Staple type SB5019 has a crown size of 12,7 mm and is available in the following lengths: 10 m..
Staple type SB5019 in Stainless Steel has a crown size of 12,7 mm and is available in the following ..
Staple type STCR5019. 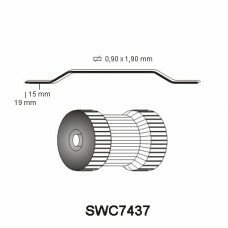 Thanks to the unique design of this so-called PowerCrown staple it is possible..